Please join us for the Washington Seaplane Pilots Association’s annual Splash/Fly-in at Priest Lake, Idaho. Situated on lovely Cavanaugh Bay, Tanglefoot Seaplane Base (D28) is one of the most unique spots for seaplanes in the Northwest if not the world. There is ample space for amphibs as well as straight floats and even for wheel planes next door at the Cavanaugh Bay airstrip (66S). This year the event will be sponsored by Aerocet and include a free commemorative t-shirt. We will have the same basic format as the last few years with Friday night pizza, a fly-out on Saturday and a reception, dinner and speaker that night. Meals will be provided Friday night thru the weekend, wrapping up with a continental breakfast on Sunday morning. Accommodations will include camping on-site or at the airport next door. 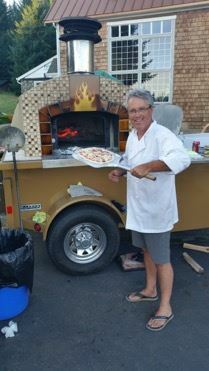 Back by popular demand, WSPA member, Everett Mellish has volunteered to bring his wood fired pizza oven to the venue. Last year was an incredible mouthwatering experience including Friday night Pizza, Saturday morning Frittatas and Saturday night Street Tacos. The charge for the event is $75 per attendee (including your passengers). This price will include all meals for the weekend and the commemorative t-shirt. A formal announcement of the event will be sent to you via email in May and you will be able to register and pay for the weekend thru the WSPA website. (www.Washingtonseaplanepilots.org). We look forward to seeing all of you again this year.